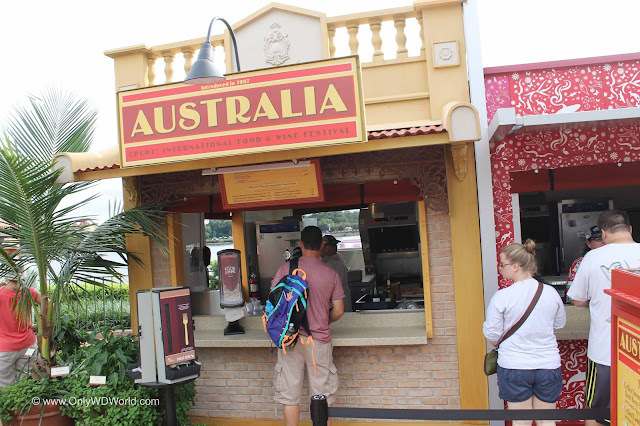 The 2016 Epcot International Food & Wine Festival takes place from September 14 - November 14 making it the longest ever! There are 30 Marketplaces that will be open to all Epcot guests with tastes of regional cuisines and beers and wines. 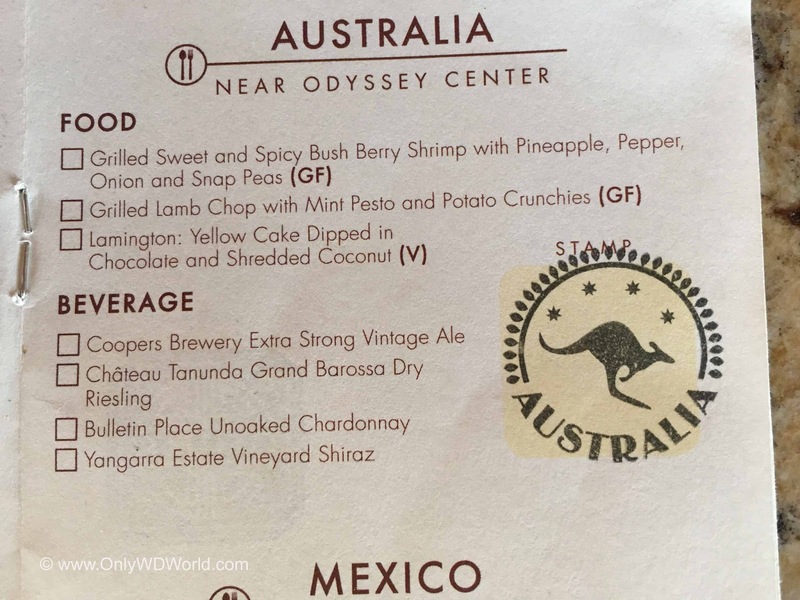 At OnlyWDWorld we will count down the days to the most popular Walt Disney World Resort event for adults by providing previews to each of these marketplaces. 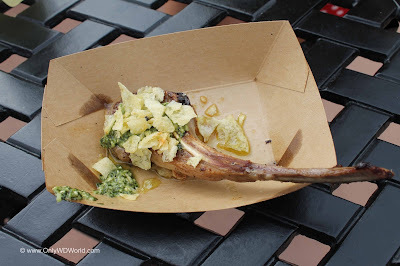 Pictured above is the Grilled Lamp Chop with mint pesto and potato crunchies. Unfortunately we were underwhelmed by this dish. Ahead of the Festival we looked forward to sampling the Lamb Chop, but upon tasting we were not impressed. The description of the dish was awesome, but this one was not one of our favorites. 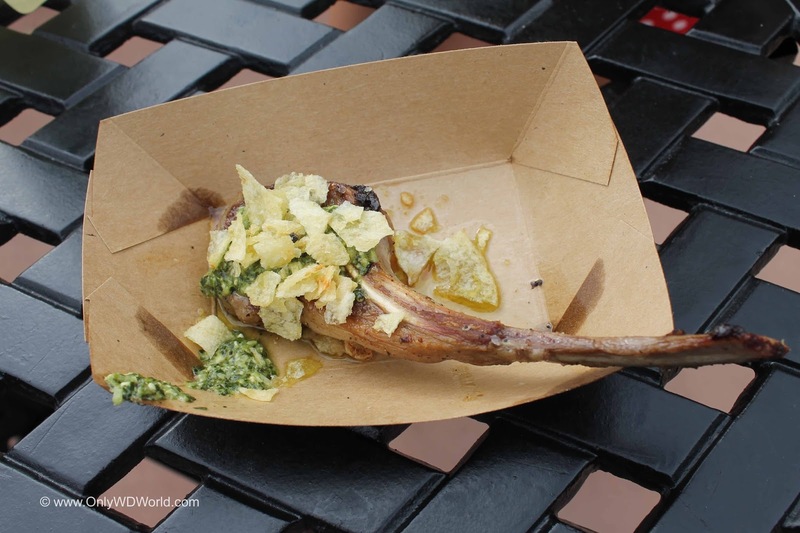 We like lamb dishes, although this one did not stand out amongst all of the F&W Festival dishes. Each year Epcot guests can pick up a free passport to serve as their guide to all of the Food & Wine Festival Marketplaces. When you visit a marketplace, you can get your passport stamped to mark your progress around the world. 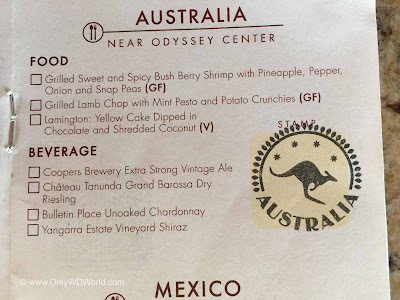 We got ours stamped at the Australia Marketplace, how about you? Post your Australia Passport Stamp when you visit this year's Festival and leave your review of the food you tried! 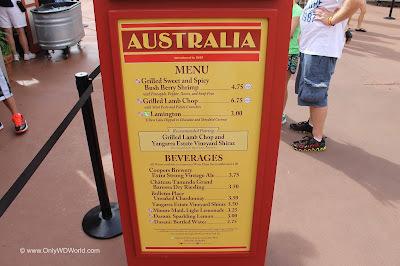 0 comments to "2016 Epcot Food & Wine Festival: Australia Marketplace Preview"